Opinion makers have repeatedly emphasised the need for reforms to Sri Lanka’s fiscal make-up, competitiveness and governance, the success of which is expected to boost corporate performance and grow the economy as well as empower the nation to gain upper-middle-income status in the medium term. But as the country’s administration has found over the course of this year, working towards development targets can be a tricky business when they’re intertwined with the often disenchanting political realities of a nation such as Sri Lanka. Back in 2015, the outcome of twin election campaigns led to high hopes of a shift towards so-called ‘good governance’ that is built on a platform of curbing (leave alone eradicating) bribery and corruption at all levels of the political hierarchy. Sri Lankans thus welcomed the new year with the prospect of a turnaround in the political culture, only to be greeted by a rude awakening: they were to find that the forces of corruption were deeply entrenched in the system, so much so that a repair job looked to be more than the Herculean task that they were well aware of. The country’s monetary authority came under the spotlight for alleged wrongdoing on the part of its erstwhile highest ranking official who himself turned out to be a polarising figure within the political establishment. And while the country can take consolation from the appointment of his successor in July, there’s a sense of scepticism about whether the powers that be are genuinely committed to good governance or merely resorting to tricks of old. And in October, the chief of Sri Lanka’s anti-graft body (the Commission to Investigate Allegations of Bribery or Corruption) tendered her resignation in the wake of what has been widely acknowledged as a public tirade by Sri Lanka’s head of state – who after all led the master pledge of good governance on behalf of his coalition government not long ago. As far as business is concerned, perhaps the most telling administrative bungle came in the form of taxation policy, following the 2016 budget proposals. The Value Added Tax (VAT) fiasco in particular, provoked the ire of corporate entities owing to both the greater burden placed on them and the ad hoc manner in which it was eventually implemented. However, with fiscal consolidation being a major government priority – especially in the light of the agenda for the funds approved by the International Monetary Fund (IMF) in June 2016 – taxation is likely to remain on the corporate radar in the medium term. Another example of the lack of consultation in policymaking was bared when the administration implemented a pricing mechanism for pharmaceuticals recently. Issuing a statement in response to the recent implementation of fixed prices on medicinal drugs announced in a government gazette, the Ceylon Chamber of Commerce urged the government “to refrain from introducing ad hoc, poorly designed and unviable regulations that cause undesirable market distortions, and undermine the country’s overall socio-economic goals. Meanwhile, in the countdown to Budget 2017, Prime Minister Ranil Wickremesinghe issued a statement outlining reforms that the government plans to implement over a period of 1,500 days. It encompassed steps aimed at addressing inequality in income distribution, finalisation of trade pacts (including regaining the GSP+ facility) and management of state enterprises among others. 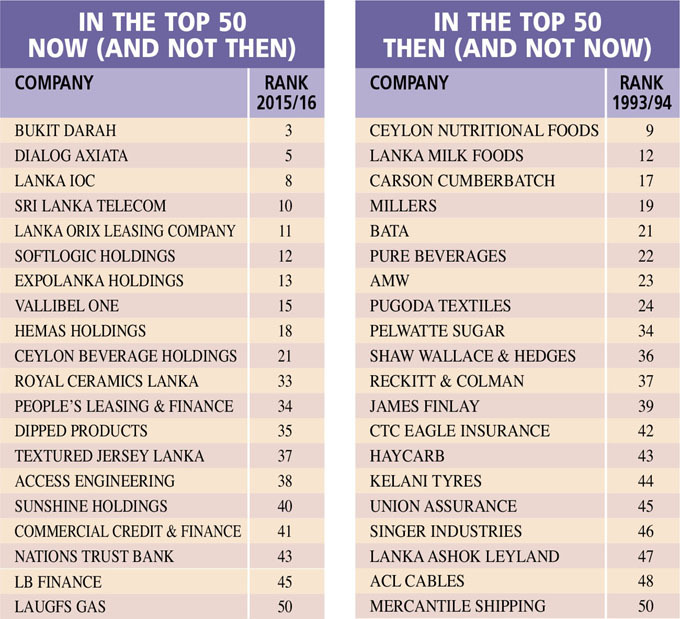 As for the performance of Sri Lanka’s leading listed entities, the LMD 100 rankings for financial year 2015/16 offers a comprehensive point of reference for corporate watchers. In the latest edition of the LMD 100, John Keells Holdings (JKH) takes the top spot on the corporate podium in what is a virtual photo finish, ahead of last year’s numero uno. It’s turnover of Rs. 93.3 billion is only some one percent ahead of Hayleys. JKH also retains the No. 1 spot for profitability by a stark margin from second-placed Commercial Bank, by virtue of a Rs. 15.8 billion post-tax profit in 2015/16. Market capitalisation is another prime indicator of corporate might and worth. At the end of financial year 2015/16, Ceylon Tobacco Company led the way with a market cap of slightly under 190 billion rupees. Twelve of the top 50 listed corporations reported lower earnings in financial year 2015/16 – that’s two less than the last year. However, in the latest rankings, there were four loss-makers among the 50 leaders, versus the previous year’s count of just two, although a whopping 60 companies (versus 33 in 2014/15) reported double-digit or higher profit upside. The latest edition of the LMD 100 includes 61 corporates that recorded an annual turnover of more than 10 billion rupees, whilst 10 entities enjoyed post-tax profits of over five billion rupees. 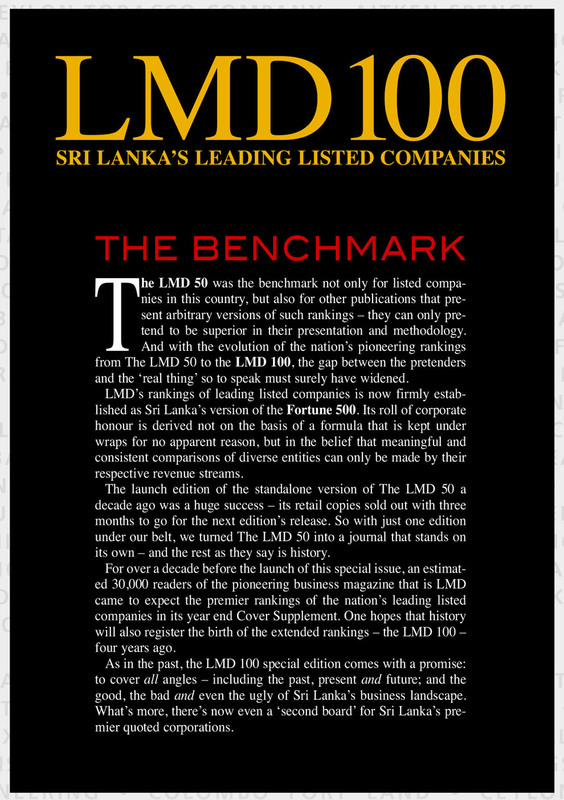 As for nostalgia, when the pioneering rankings were first published in 1993/94 (that was when the LMD 100’s predecessor – The LMD 50 – was compiled for the first time), Sri Lanka’s corporate heavyweights consisted of 20 entities that do not feature in the latest edition of the nation’s leading listed companies. Meanwhile, there are an equal number of corporations that were not in contention at the time of the rankings’ inception, including the likes of Bukit Darah, Dialog Axiata, Lanka IOC and Sri Lanka Telecom, all of whom feature on the 2015/16 Leaderboard. Aggregate turnover of the 50 leading listed entities has grown by nine percent in the latest rankings, while their aggregate bottom lines spiked by eight percent. Turning the clock back to 1993/94, revenue rose by 20 percent year-on-year whereas profits expanded by a mammoth 60 percent. And the aggregate asset base of the 50 leaders also appreciated by an impressive 18 percent during 2015/16, but their combined shareholders’ funds were only eight percent higher from when the financial year began. The horizon isn’t all too clear, with both corporate fortunes and confidence hanging in the balance as the nation’s businesspeople ‘watch and wait’ to see how the proposals outlined in Budget 2017 and external headwinds pan out in the year ahead. Year 2015/16 was one of mixed fortunes for Sri Lanka’s engine of growth. 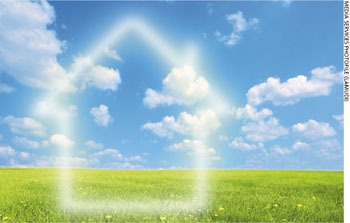 What the future holds is up in the air.